The article “Karate no omoide” (My Memories of Karate) is a primary source about Kyan Chōtoku’s life and his relation to karate. The article was published on 1942-05-07 in the Okinawa Shinpō Newspaper. The Okinawa Shinpō was a result of the nationwide “newspaper control regulation (shinbun tōsei 新聞統制)”, implemented by the Department of Interior (naimushō 内務省) and the Information Office (jūbōkyoku 情報局) at its center. 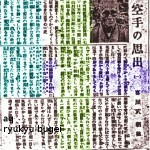 Its object was the integration of all existing newspapers in such a way that there was “one prefecture, one newspaper”. In other words: media was synchronized for propaganda purposes. In Okinawa, the newspaper control regulation was in effect from 1940 to 1945. It resulted in the establishment of the Okinawa Shinpō Newspaper in December 1940. To do so, three newspapers were integrated into the new one, namely: Ryūkyū Shinpō 琉球新報, Okinawa Asahi Shinbun 沖縄朝日新聞, and Okinawa Nippō 沖縄日報. Even after the start of the ground war on Okinawa Main Island in April of 1945, the Okinawa Shinpō continued to be issued from an underground air-raid shelter in Shuri, but was disbanded on May 25, 1945. “Karate no omoide” (Memories of Karate) [excerpt], by Kyan Chōtoku. Okinawa Shinpō, 1942-05-07. As regards Okinawan newspapers and karate, it is well known today that plenty of articles had been published by the old Ryūkyū Shinpō. This newspaper began to publish articles about karate in earnest since around 1913, but covered karate-related topics already since the late 19th century. This old Ryūkyū Shinpō was established in 1893 by former ruling class members Shō Jun 尚順 (1873–1945, 4th son of former King Shō Tai), Takamine Chōkyō 高嶺朝教 (1869–1939, 1st president of the Okinawa Gingko bank), and Ōta Chōfu 太田朝敷 (1865–1938). 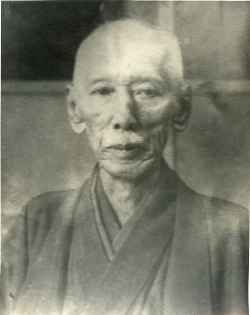 Above mentioned Ōta Chōfu, as the president of the Ryūkyū Shinpō at the time acted as the sponsor and interviewer at the famous 1936 “Meeting of Karate Masters.” The records of the meeting were subsequently printed by his newspaper (see for example, the translation by the Haiwaii Seinenkai, were his name is misspelled to Ota Choshiki). Ōta Chōfu is a prominent figure within the apolitical self-narrative of modern karate romance. He also provides an example of the diremption of Okinawan society, and karate. While karate today is narrated as a martial art of peaceful people from an ancient peaceful kingdom — with peaceful bitter melons and peaceful baby pork hoove snacks and peaceful everything –, and while there is no first attack (!) in karate, Ōta Chōfu and karate men of his time fully supported Imperial Japan. They did not support any cultural, lifestylish, or peaceful Okinawa. As regards Ōta, he was one of the first Okinawan students to obtain a scholarship to study in Tōkyō and received a decidedly Japanese – not Okinawan – education. In 1931 he served as the mayor of Shuri and as Okinawan representative in the prefectural assembly. Ōta Chōfu 太田朝敷 (1865–1938). From: Ryubun21. In his journalistic idea, Ōta focused on the 1st Sino-Japanese War (1894-1895), in which Japan was victorious and which ended the Ryūkyū Question, i.e. Chinese claims on Ryūkyū. This war also ended the Ryūkyūan fight for restoration of the kingdom. And it also brought Taiwan under Japanese control, were it remained until 1945 and were many karate men would serve or tour, including Kyan Chōtoku. This was one of the most crucial events in the making of modern Okinawa Prefecture, and modern Japan! Ōta, together with 4th prefectural governor Narahara Shigeru 奈良原繁 – nicknamed the “King of Ryukyū” and practitioner of Jigen-ryū sword fencing – orchestrated the oppression and ultimately the destruction of the person Jahana Noboru 謝花昇 (1865–1908), the then leader of an Okinawan movement for democracy. So while Ōta is often portrayed as some nice karate-related guy, his idea of karate was not that of a peaceful Okinawa that never attacked anyone else, but that of the Japanese conolianism, imperialism, and militarism of his time. Until the time of the “newspaper control regulation” in 1940, the proprietors of the old Ryūkyū Shinpō were all wealthy persons who worked together with the prefectural authorities in achieving national aims while following the editorial policy of “worshipping the powerful” and oppressing the Okinawan civil movement for democracy. And this political viewpoint can clearly be seen in the (at least) 124 karate-related articles that the old Ryūkyū Shinpō published between 1898 and 1940 (unpublished survey by this author). One can clearly see that the conclusion of the article was written under consideration of tatemae (façade towards the public). Moreover, it was not a free society in those days and there was a strong wartime censorship — Like in today’s North Korea. This can also be noticed in Mabuni Kenwa’s and Nakasone Genwa’s books. So one might argue that Kyan said what he had to say. However, Kyan’s ardent admiration for militarism during the escalating war, and his grief for being too old to participate himself, which clearly aims at moral mobilization of the readers, and all that just 5 months after Pearl Harbor: this does not sound to me as if there was “no first attack in karate.” It does not sound to me like the ingénue, peaceful, old former aristocratic karate master. The above was an erstwhile reality of karate. But for how long? 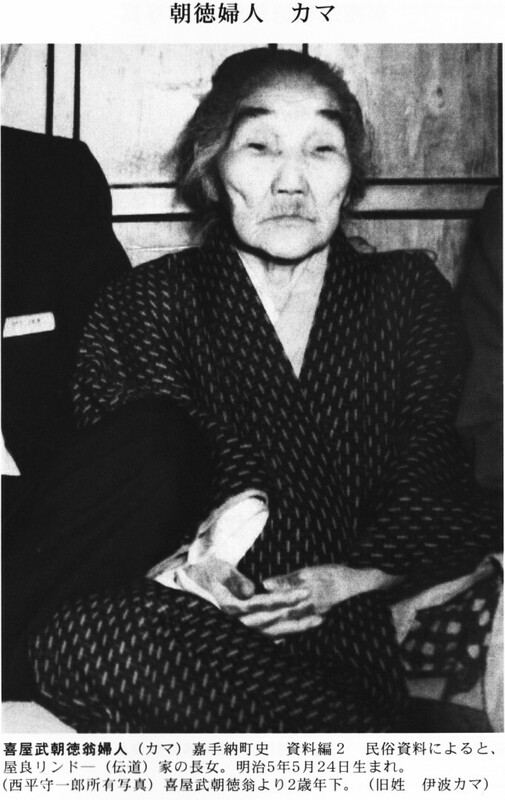 Kyan Chotoku’s wife Kama. Was it all her fault? There is a terminological problem related to it, namely the timeframe referred to as senzen 戦前 in Japan, literally “the pre-war days”. This term is standard Japanese historical terminology and also used extensively in karate literature. It is sometimes still used for 1941, sometimes for 1942 and basically rethorically narrows down the war years to a very few years, sometimes — and especially in connection with Okinawa — only to 1945. So from the self-narrative of Okinawa karate, December 1944 might well have been considered the pre-war years. What do the Hawaiians think of this? By this, the term narrows down not only the timeframe, but also the significance of the related, factual military history – and whatever personal opportunities, responsibilities, actions, or inactions related to it. And this is a bit too ambiguous to be helpful, quite on the contrary. Okinawan soldiers, occupying forces, policemen and business men etc.pp. roamed all of Southeast Asia since the 1st Sino-Japanese War (1894-95), and many of them were karate men. And — as can be seen in his own words — Kyan admired military expansion and would have loved to take part. Therefore, and particularly to better assess Okinawa karate under the actual circumstances of the time, and moreover to draw a line between the actual “prewar years” and the “war years”, a definition of the timeframe is necessary. And this timeframe of the “war years” should include the years 1931 to 1945 — from the Asia-Pacific War which started with the Japanese invasion of Manchuria (September 1931), via the 2nd Sino-Japanese War (1937), Pearl Harbor (1941) until 1945 (Okinawa). Because it is impossible that these events had no impact on Okinawa, its people, and karate. In any case, I am not blaming anybody here. Kyan was just normal people and caught by circumstances. This entry was posted in Unknown Ryukyu and tagged Karate, Karate no omoide, Kyan Chotoku, newspaper, Okinawa, Okinawa Shimpo, Okinawa Shinpō. Bookmark the permalink.